Erecoin (ERE) ICO - A symbiosis of Additive Manufacturing and Blockchain. The erecoin platform is a symbiosis of Additive Manufacturing and Blockchain. Both technologies are currently changing the world. color printing on a computer at home. opportunity to solve these legal and technical issues of the additive world. Our mission is to make the increasingly complex world safer. We want to build efficient, clear and uncomplicated transaction processes to help to establish Additive Manufacturing as a key manufacturing method in the future. The erecoin platform enables all people to participate in the rapidly growing market of Additive Manufacturing. 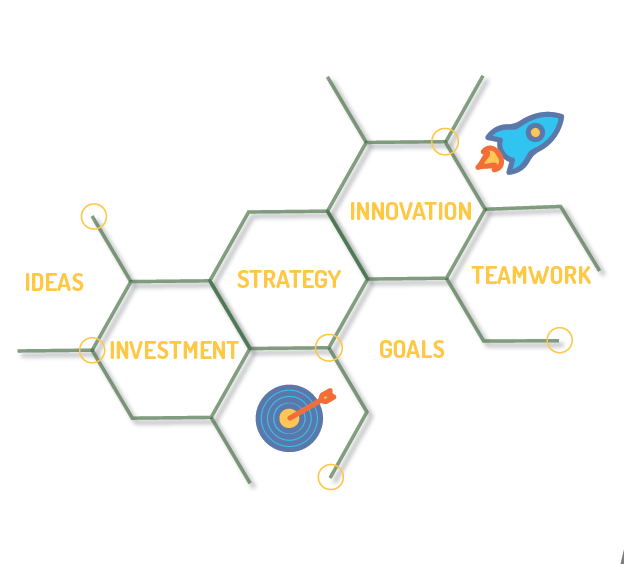 The erecoin platform designs security-oriented value creation processes by means of smart contracts. The erecoin platform secures intellectual property rights in Additive Manufacturing. 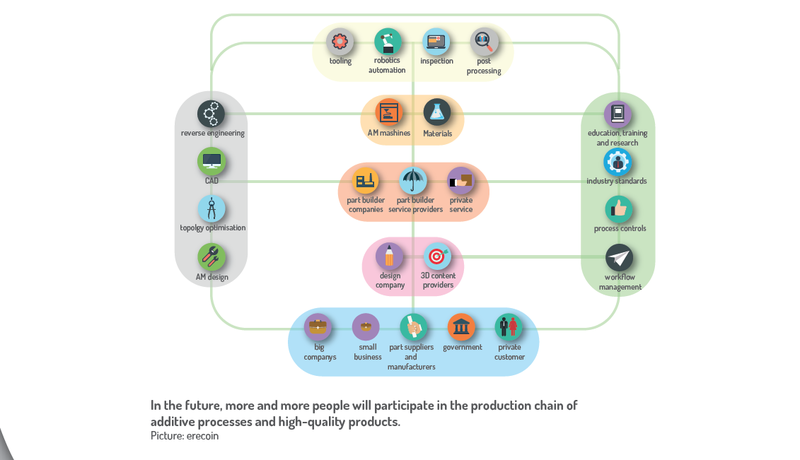 The erecoin platform makes a significant contribution to the resource efficiency in the future due to the use of additively manufactured products. signed using a form or drafted by the notary. The industry is also accustomed to secure their business relationships contractually. looking for a solution for a long time and are currently making bad experiences with micro-payment and co.
serious: There is already some restraint in very complex additive designs that prevent the entire market from accelerating. dispute, neither lawyers nor courts have to be involved. Users of the Blockchain do not need to worry about security and industrial espionage. Agreements are reduced to specific rules and applied to transactions. due to the development of new interesting applications and new procedural techniques. testing with 3D models become a development philosophy throughout development. but the savings of aviation fuel during the entire operating life of an aircraft. the functionality of a product and/or reduces the number of parts in the product, this can be a weighty argument for a possibly higher unit cost. costs with a part supplier. on honeycomb structures or cavities is conceivable. value creation methods reduces total costs in the supply chain and enables a flexible organization. economic activity between individual markets. relocation of production from low-wage countries to sales regions profitable. are subject to particularly high demands. Legislators attach particular importance to the safety, quality, and conformity of the products. people free access to a better life. by surgeons for surgical preparation to ensure the best possible treatment for the patient. can use printed models to prepare individual surgical procedures for organs. • Ethical and legal issues are resolved by the use of smart contracts, without withholding information. • The transfer and ownership of the generated 3D data are simplified by using the erecoin system. use, already exist. However, the choice and quality of these models is very limited and not satisfactorily resolved. experience from comparable photo or template databases shows, the variance of the license restrictions is significant. cost-effectiveness comes into competition with conventional manufacturing processes. obtain a dimensionally stable model. This fact is process-specific and requires specialized expertise and skill from the designer. protection. 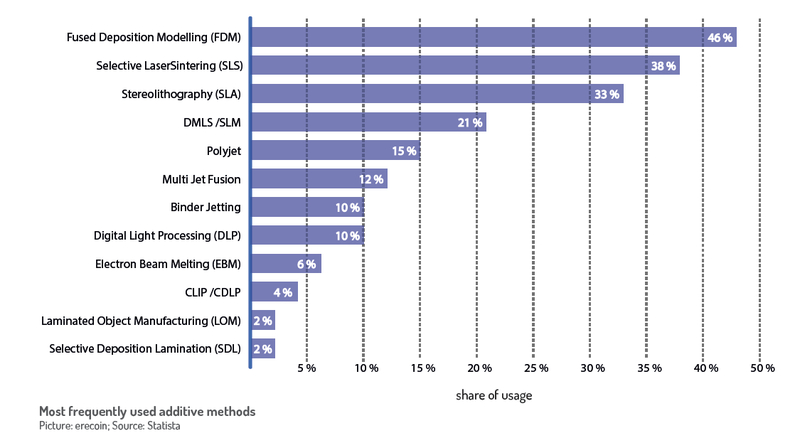 Uncertainty due to a lack of trust and unclear technical risks still characterize additive manufacturing. the file should be traceable and transparent. transactions are referred to as an "ensured relied environment". Additive Manufacturing process with the blockchain technology solutions in a symbiosis. files and create conditions for collective transactions. The unique capabilities of erecoin are available to all platform customers. The erecoin platform will provide a global network of Additive Manufacturing for businesses and private users using blockchain technology. Professionalization of the Additive Manufacturing industry should be accelerated by reducing entry barriers for young companies. Protecting the value of intellectual property in digital product data. Product piracy and industrial espionage due to data loss and misuse should be reduced by using the erecoin platform. Transparency of product creation and history of product data will be available to customers. Realize customer-specific products with small quantities economically. High stocks of low-demand-products can be addressed with Print on Demand. erecoin owners get a share in a fast-growing industry that is changing our world right now. high benefit and increase the coverage of services offered in the additive industry. The CAD data exchange community is a great place to bring engineers, developers, and designers of different profiles together. Creativity that generates income is the dream of every designer. Every user of the platform has the opportunity to offer his or her project. 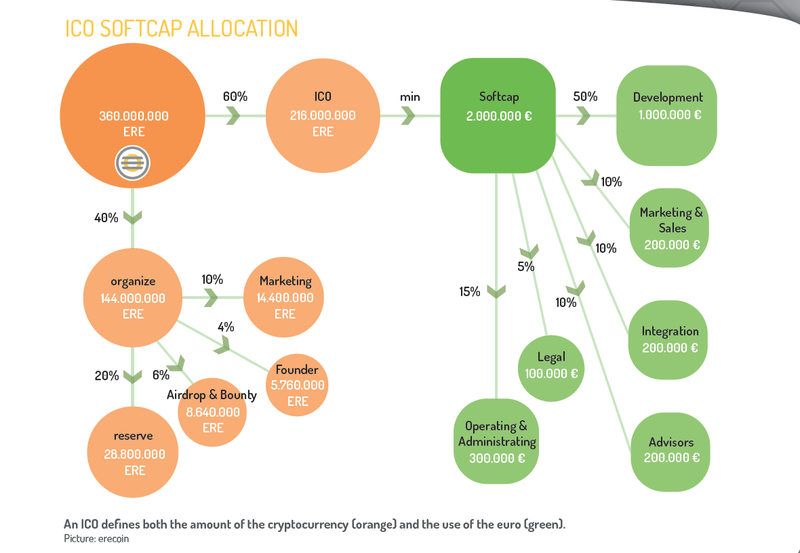 projects and apply smart contracts makes the erecoin platform extremely attractive to investors. negotiations. The erecoin platform creates partnerships for the selection of the best developers and service providers. The user successfully accomplishes additive technology projects at a reasonable price. reliability of transactions in digital product handling. partners in Additive Manufacturing is simplified by platforms that use erecoin and secured with Smart Contracts. impossible and transaction costs and risks are minimized. Like this transaction for private and professional 3D printing will be transparent. 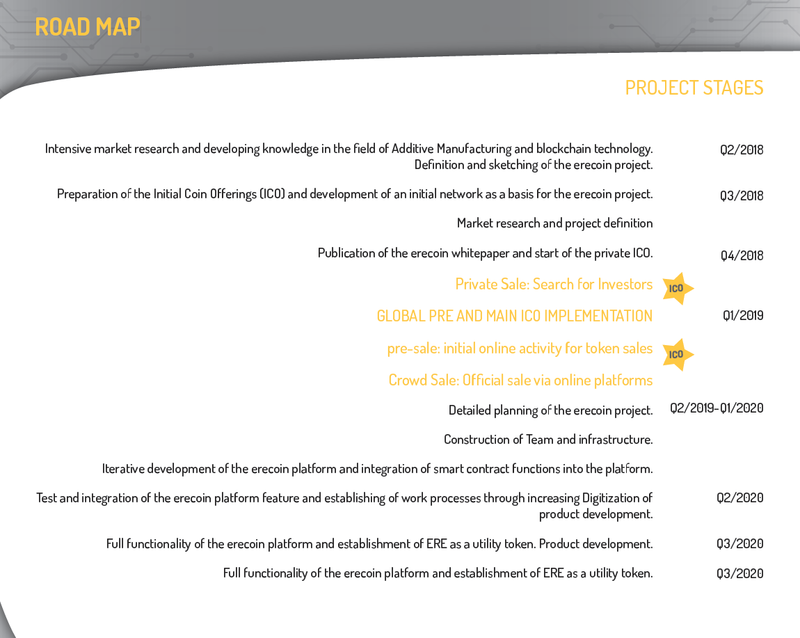 The erecoin users receive a wealth of information about their project to complete a safe and reliable transaction. Manufacturing of components can be secured. Customers of the erecoin platform have the opportunity to acquire erecoin tokens (short: ERE) during the ICO (initial coin offering) phase. according to blockchain logic, it is not possible that too few utility tokens for transactions are available. introduction of Additive Manufacturing on a global scale. in its own blockchain. It, therefore, represents an alternative to the classic client-server architecture. use ERE as its method for transaction processing. 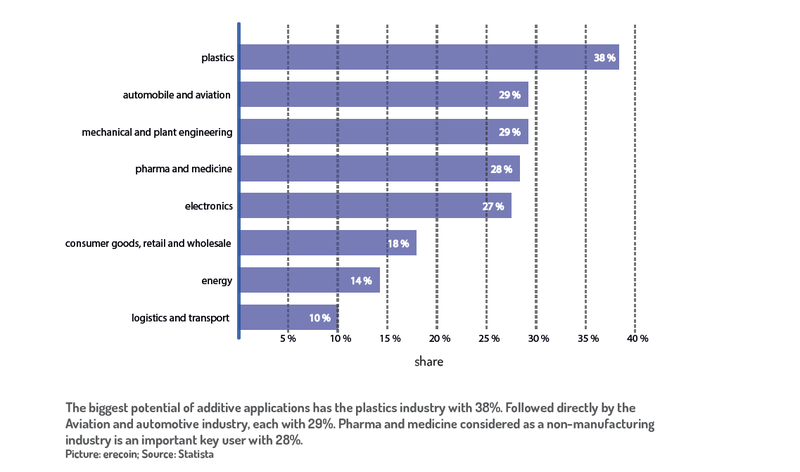 widespread usage of additive applications. 3D models or 3D services. With the help of smart contracts, the order is initiated in the overall system and data or services are compiled. networking of Additive Manufacturing taking intergovernmental agreements and national requirements into account. from the buyer and credited to the seller after a successful transaction. within a certain period of time, the transaction will continue with the deactivation of the digital delivery and a refund of the debited amount. incrementally on the erecoin platform. further development up to a doubling of the market volume is expected until 2023.
worldwide positive cost development of additive metal production from 2013 to 2018. Costs are forecasted to drop further by 2023.
following percentage distribution, cf. Figure, in a global survey of companies in 2016. 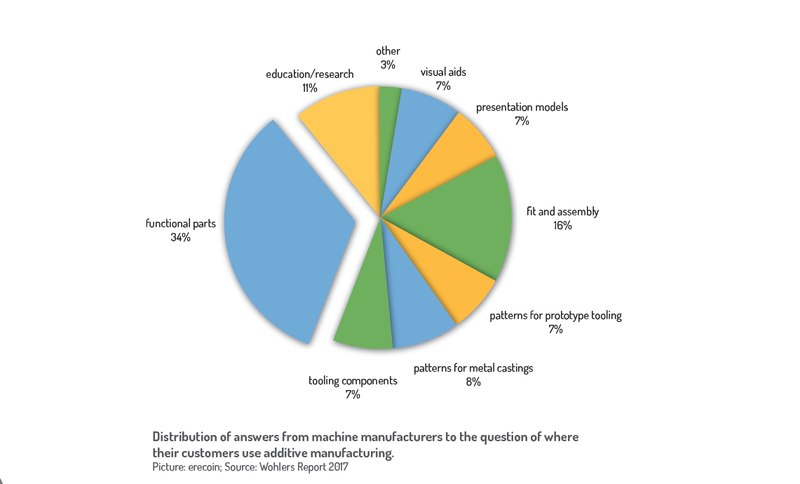 Surveys by AM machine manufacturers on their customers show that the scope of application of Additive Manufacturing is still very diverse. Mostly they are functional parts and function prototypes. represent a broad application in industry.